1. (of goods, especially clothing) made to order. The feeling you get when you put on a well-made, quality hat is something else. It can bring you confidence and add the finishing touches to an outfit. In order to do so, you must find your perfect hat. That's where bespoke services come in! Bespoke services allow you to call all the shots. From the size that will fit you properly, to the type of ribbon used to finish it off, you will come away with your dream hat that will make you feel like a boss when you put it on! 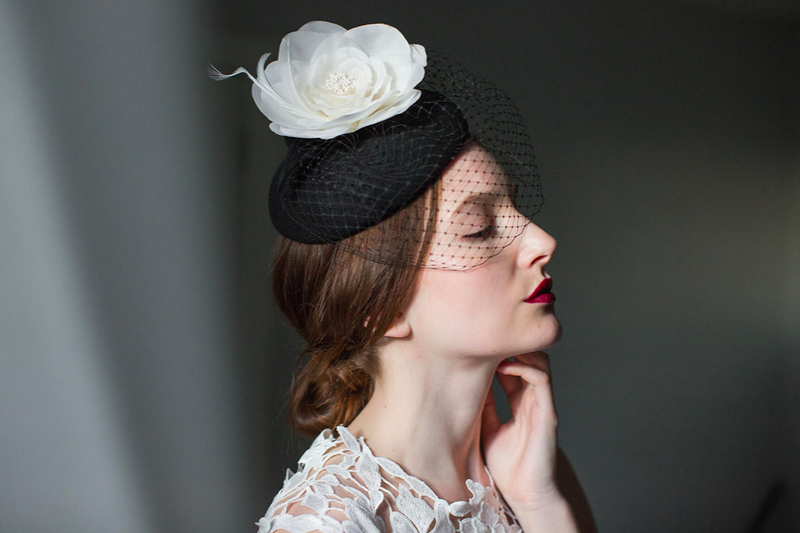 The most popular use of bespoke hat services at Smith & Pedersen Millinery is for fascinators. The popularity of hats for the races and weddings is ever growing in North America and a standard in other parts of the globe. A bespoke fascinator is a must for the races and weddings to showcase your personal style and feel amazing. "A person carries off the hat. Hats are about emotion. It's all about how it makes you feel". For more information on bespoke services, please complete the form and submit. Please select one of the options you are inquiring about.